The Whitefish Trail currently consists of 12 trailheads and 42+ miles of natural surface trail comprised of stacked loops, scenic overlooks, single‐track trails, and gated logging roads. 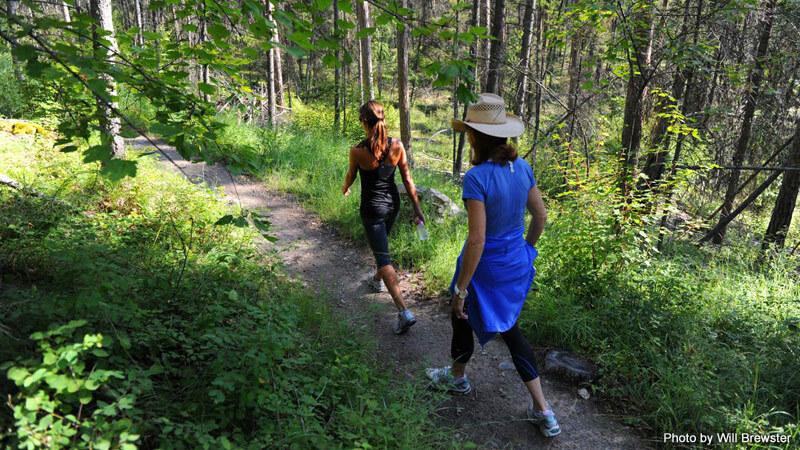 The Whitefish Trail is the gateway for hikers, bikers, runners, skiers, and equestrians to beautiful forests, prime wildlife habitat, sweeping vistas, pristine lakes, and inter-connected recreation areas. The cornerstone of Whitefish Legacy Partners’ work, the Whitefish Trail is a regional, multi-partner project established in 2010 to develop a 55+ mile recreational trail system encircling the community of Whitefish and Whitefish Lake. This community driven and donor supported project is a collaboration between Whitefish Legacy Partners, the City of Whitefish, the Department of Natural Resources and Conservation, US Forest Service, Montana State Parks and many local private conservation and recreation champions. WF Trail Operations Committee meets 4th Tuesday of every month from 4-5:30pm at the Whitefish Legacy Partners office, 525 Railway, Suite 206. Contact Whitefish Parks and Recreation at 406.863.2471 or Whitefish Legacy Partners 406.862.3880 for more information. Directions and maps for all the trailheads. The most up to date trail conditions are listed here. A few important things to remember. This is our legacy. Help us protect it.